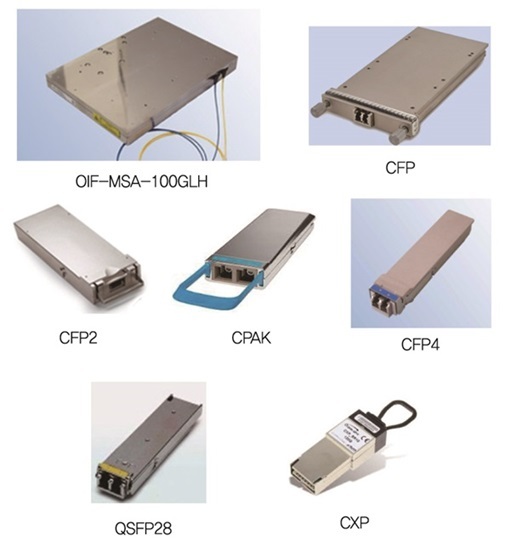 CPAK optical transceiver incorporates IEEE standard interfaces available in several different types: 100GBASE-SR10, 100GBASE-ER4L, 100GBASE-LR4, 10x10G-ERL, 10x10GBASE-LR, etc. CPAK transceivers can support 10X10Gbps and 4X25Gbps mode for an aggregate of 100Gbps data rate. It can also operate high-density 10G breakout with MPO-24 cables. CPAK-100G-SR10 is backward compatible with 10GBASE-SR. While CPAK 10X10G-LR is compatible with 10GBASE-LR optics. CPAK LR4 module is compatible with other 100GBASE-LR4 compliant modules such as CFP to support high-bandwidth 100Gb optical links over standard single-mode fiber terminated with SC connectors. Table 1 shows the existing Cisco 100G CPAK Modules. In 2017, 100G technology and relevant optical transceivers gradually become mature. 100G optics like CXP, CFP/CFP2/CFP4, 100G QSFP28 in different standards offers a huge selection for customers. Of which QSFP28 100G modules, thanks to the smallest form factor and reliable performance, maintain large market share in 100G hardware market. In addition, some newly released 100G switches only have QSFP28 ports which in turn promotes the popularity of 100G QSFP28 transceivers. 100G QSFP28 PSM4 optics is a type of 100G optical transceiver that provides a low-cost solution to long-reach data center optical interconnects. 100G PSM4 (parallel single-mode 4 lane) standard is mainly targeted to data centers that based on a parallel single-mode infrastructure for a link length of 500 m. Compared with the hot-selling 100GBASE-SR4 and 100GBASE-LR4 optics, 100G QSFP28 PSM4 recently wins the popularity among the overall users. This article will provide a complete specification of the 100G QSFP28 PSM4 transceiver and explain the reason why people would need QSFP28 PSM4. 100G QSFP28 PSM4 is compliant with 100G PSM4 MSA standard, which defines a point-to-point 100 Gb/s link over eight parallel single-mode fibers (4 transmit and 4 receive) up to at least 500 m. PSM4 uses four identical lanes per direction. Each lane carries a 25G optical transmission. The 100G PSM4 standard is now available in QSFP28 and CFP4 form factor. Table 2 shows the diagram of the 100G QSFP28 PSM4 Specification. 100G PSM4 is a low-cost solution. Its cost structure is driven by the cost of the fiber and the high component count. FS.COM offers the Cisco compatible 100G QSFP28 PSM4 at US$750.00. As you can see in the above image, 100G QSFP28 PSM4 transceiver uses four parallel fibers (lanes) operating in each direction, with transmission distance up to 500 meters. The source of the QSFP28 PSM4 module is a single uncooled distributed feedback (DFB) laser operating at 1310 nm. It needs either a directly modulated DFB laser (DML) or an external modulator for each fiber. The 100GBASE-PSM4 transceiver usually needs the single-mode ribbon cable with an MTP/MPO connector. Why Do We Need 100G QSFP28 PSM4? 100G PSM4 is the 100G standard that has been launched by multi-source agreement (MSA) to enable 500m links in data center optical interconnects. But as we all know, there are several popular 100G interfaces out there on the market, such as QSFP28 100GBASE-SR4, QSFP28 100GBASE-LR4, QSFP28 100GBASE-CWDM4, and CFP 100GBASE-LR4, etc. So with so many options, why do we still need 100G QSFP28 PSM4? Q1: What are the net link budget differences between PSM4, SR4, LR4 and CWDM? 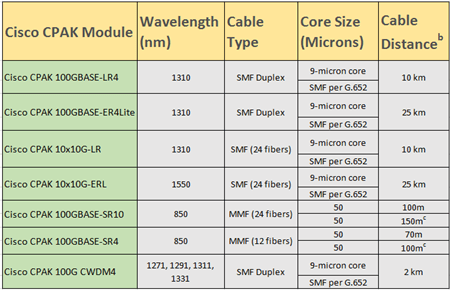 Table 3 displays the detailed information about these 100G standards. Note: the above diagram excludes the actual loss of each link (it is the ideal situation). In fact, WDM solution are at least 7 db worse link budget than PSM4. 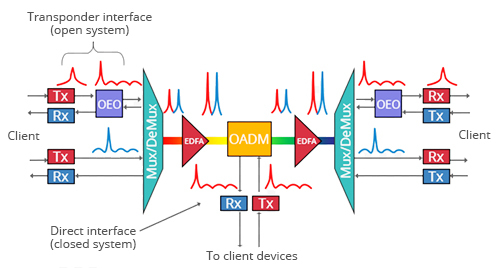 For a 2 km connectivity, a CWDM module will have to overcome about 10 db additional losses compared to PSM4. And the 100G LR4 optics at 10 km is 12 db higher total loss than PSM4. Q2: What power targets are achievable for each, and by extension what form factors? According to the IEEE data sheet, the WDM solutions cannot reasonably fit inside QSFP thermal envelop, while PSM4 can fit inside the QSFP thermal envelope. That means you would need the extra power for the WDM solution of your network. But if you use the QSFP PSM4, this won’t be a problem. All in all, a 100G QSFP28 PSM4 transceiver with 500m max reach is a optional choice for customers. Because other 100G optics are either too short for practical application in data center or too long and costly. QSFP28 PSM4 modules are much less expensive than the 10 km, 100GBASE-LR4 module, and support longer distance than 100GBASE-SR4 QSFP28. QSFP28 PSM4 is the lowest cost solution at under one forth the cost of either WDM alternatives. 100G QSFP28 PSM4 can support a link length of 500 m, which is sufficient for data center interconnect applications. 100G QSFP28 PSM4 also offers the simplest architecture, the most streamlined data path, higher reliability, an easy upgrade path to 100G Ethernet. Stay For 40Gbps Network or Scale Up to 100G? The evolution of bandwidth for data transmission is unstoppable. From the 10Mbps, 100Mbps Ethernet to the 10G or 40/100G Ethernet, telecom manufacturers keep promoting higher internet speed to facilitate people’s daily life. Now, bandwidth speeds of 1Gbps to 10Gbps Ethernet capacity are commonly utilized around the world. However, with the increase in data center and cloud computing technologies, the demand for bandwidth speeds of 40G to 100G Ethernet is growing steadily for carriers and other data consumers. Just like the dilemma of whether to use the fiber optic cable for high performance or adopt copper cable for the low cost, these high-end data consumers also have the doubt about 40G and 100G. Should we upgrade our capacity to 40Gbps or skip 40Gbpsand migrate directly to 100Gbps Ethernet? This article will help to draw an answer to this dilemma from the aspects of market trend for required bandwidth, cost and performance. Cost Efficiency—From a network equipment standpoint, often it may be more cost-efficient to upgrade a 10Gbps link to 100Gbps, versus 40Gbps. Essentially, if you should require 60Gbps or say even 80Gbps, additional cards would be needed to support the link in the chassis, whereas a customer may utilize only one card to achieve more than twice the bandwidth at 100Gbps. 100Gbps allows the network to operate within a smaller footprint of a data center, which in turn, reduces power consumption dissipating less heat and thus lower operational costs. Lower Latency—100Gbps provides lower latency capabilities than 40Gbps; many carrier grade vendors are lowering latency on 100Gbps matching latency of traditional 10Gbps traffic. Flexibility—Creates options to provide multiple variations of delivery with handoffs ranging from 10Gbps, 40Gbps or the full 100Gbps pipes. Scalability—Although a customer may not utilize 100Gbps on day one, the ability is there to scale the network with no forklift upgrade at any point, future-proofing the solution well beyond capacity needs. As consumer’s demands for higher bandwidth continues to rise, many equipment suppliers, who developed some of the first 100 Gigabit Ethernet Router Interfaces, are now working on developing 200Gbps, 400Gbps up to 1 Terabyte interfaces. This article is not implying that there is no use for 40Gbqs bandwidth level technology. Instead, I suggest that many end consumers are looking to keep up with the acceleration of high bandwidth demands while maintaining the efficiency and technologies needed to support their network infrastructure requirements while reducing operating costs. FS.COM 100G transceiver solution offers customers 100 Gigabit Ethernet connectivity options for data center networking, enterprise core aggregation, and service provider transport applications. Various of 100G transceivers including CXP, CFP, CFP2, CFP4 and QSFP28 are available for different applications. The following part will lists two cost-effective 100G solutions. The QSFP28 is the exact same footprint as the 40G QSFP+, but is implemented with four 25Gbps lanes. To interconnect a multimode QSFP28 link, a 12-fiber MPO/MTP patch cable is required, while for single-mode link (100GBASE-LR4 QSFP28), a duplex LC single-mode patch cable is required. 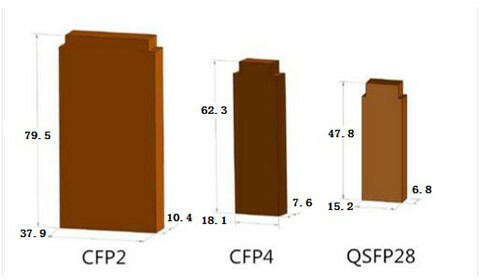 The interconnection of QSFP28 multimode link is similar with the case of QSFP28-100G-SR4 see in the following figure. 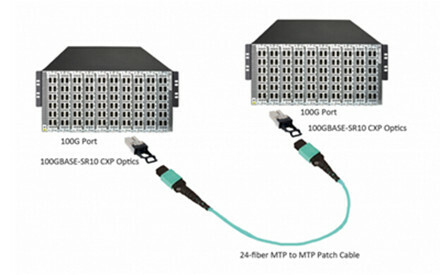 FS.COM’s 24-fiber MPO/MTP assemblies are ideal for 100GBASE-SR10 CXP/CFP to CXP/CFP interconnection in data center, since it is implemented 10 lanes of 10 Gbps. Among the 24 fibers, only 20 fibers in the middle of the connector are used to transmit and receive at 10 Gbps and the 2 top and bottom fibers on the left and right are unused. The following picture shows the interconnection between two 100GBASE-SR10 CXP ports. FS.COM provides a full selection of 100G optics including CFP, CFP2, CFP4, QSFP28 (QSFP28-100G-SR4) and QSFP28 DAC cables just as listed above. All of our products are fully compatible with the original brand. In addition, our 100G transceivers offer significant advantages over existing solutions in terms of reduced power dissipation and increased density with the added benefit of pluggability for reduced first installed cost. If you have any requirement, you can send your request to us.